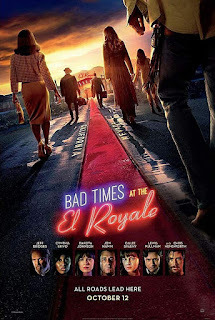 Read Steve's review of Bad Times at The El Royale. Seven strangers, each with a secret to bury, meet at Lake Tahoe’s El Royale, a rundown hotel with a dark past. Over the course of one fateful night, everyone will have a last shot at redemption… before everything goes to hell. Jeff Bridges, Chris Hemsworth, Jon Hamm, Dakota Johnson and Cynthia Erivo lead an all-star cast in BAD TIMES AT THE EL ROYALE. 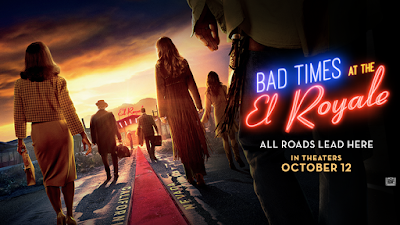 From the moment I saw the first teaser for "Bad Times at the El Royale" I knew instantly I needed to see this movie. The cast, the mystery, the incredible voice of Cynthia Erivo; I could not wait, and I was not disappointed. The movie follows seven strangers (Jeff Bridges, Cynthia Erivo, Dakota Johnson, Jon Hamm, Cailee Spaeny, Lewis Pullman, and Chris Hemsworth) as they converge for one fateful night at the El Royale, a run down hotel that sits on the border between California and Nevada. 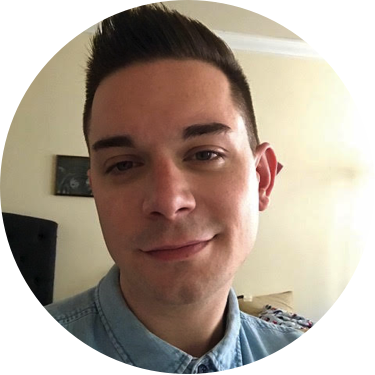 Throughout the course of the night, the strangers secrets are brought to the surface and they must all contend with each other's dark and twisted paths that lead them there. Every single cast member was incredible and I truly mean that. Each one of them brought their own unique intrigue and gusto to their respective roles, it blew me away. By far, I was most impressed with Cynthia Erivo and Jeff Bridges. The scenes these two shared were some of my favorite in the entire film, especially when Cynthia was singing, which may be my only gripe about the film is that she did not sing in more scenes. I was also extremely impressed with Lewis Pullman, who is the son of actor Bill Pullman. He had an a pretty large range of scenes throughout the film and hit all the right tones in a film with some pretty heavy hitters and being so young, I look forward to seeing what other roles he takes on after this. Overall, the film kept me guessing, and not just in a traditional "who-done-it" fashion. There were so many complex stories that each character brought to the El Royale that there was no shortage of questions to ask and answers to seek. I gasped, I laughed, I got goosebumps, and I definitely left the theater wanting more. There was definitely a sense of wanting to know more about certain characters back stories, but I really enjoyed the ride that this movie took me on just the same.